Yes, we all know what the saying is supposed to be. For every door closed, there’s that opened window, right? What if the window—or windows—you thought were opening, suddenly crash shut and lock and then someone pours paint down the track to seal it tight. Yes, we had a home with windows like that—Those old-fashioned ones with rope-sashes, only the ropes wouldn’t work because the pulley holes were no longer holes, just solid latex. Talk about fun, especially when the summer heat rises—one of the hottest on record for the area—and the air conditioner doesn’t work. Not sure who thought that was a good idea! But what happens when that’s not just your brick and mortar house, but your life. You have hopes. You have dreams. You think an opportunity is opening, and suddenly the door slams shut, and you’re just thankful it didn’t catch you in the nose—unless, of course, it did. Then you see that light coming from a window, and maybe a gentle breeze flowing through. Maybe you even see others climbing over the sill, enjoying the fresh air on the other side. But just as you get there, BAM, the window’s down. The only cool air you get is from the freezer where you go looking to ice your smashed fingers. And you’re left wondering what’s wrong with you. Do you quit? Fall and decide you can’t get up? After all, there’s no promise in the Bible about those doors and windows. No verse to stand on. …Sometimes that cliché is just that—an empty cliché. Like “where there’s a will, there’s a way.” A great one for all those guys named William, (*wink*) but for the rest of us? For the Bobs and Brads and Elizabeths? Sometimes it seems we’re out of luck! I imagine the paraplegic man in the Bible felt that way, too. [Lk. 5:18-25/Mk. 2/Mt. 9] Here he’d come to see Jesus. To be healed. Along with everyone else in town, and all the towns around. They heard Jesus was at home in Capernaum, and everyone came running to hear Him “so that there was no longer room, not even near the door.” The space was filled with Pharisees and teachers and scribes. What hope did he, a paralyzed man, have of getting through the door, let alone windows? He couldn’t even move himself, stuck on a stretcher, totally dependent on his four friends to bring him hither and yon. Might as well just go back home, right? Interestingly, he didn’t. Nor did his friends. And here’s where we don’t necessarily know the exact story. Was it his friends who wouldn’t give up? Was it him begging them to find another way? We don’t know. 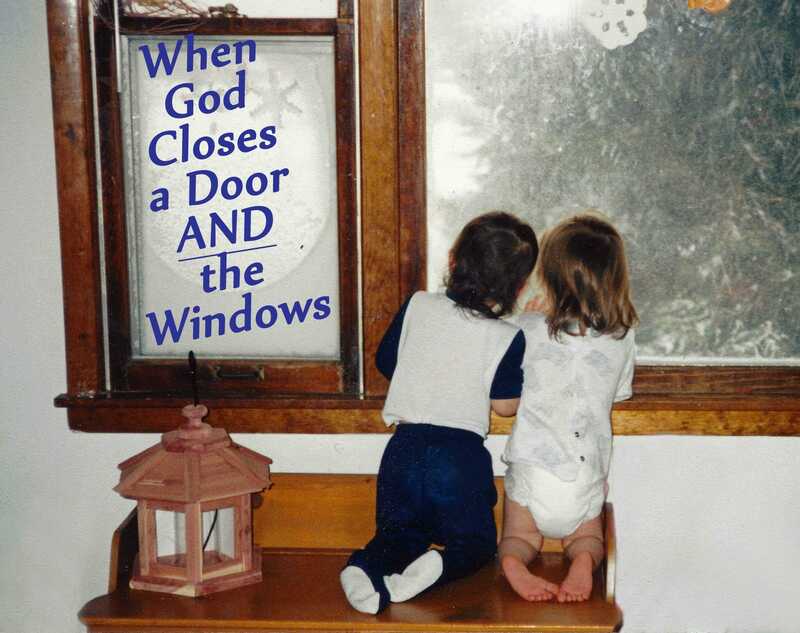 What we DO know is Christ saw “their faith.” When those friends saw the closed doors and windows? They looked UP! Suddenly, “Lightbulb.” This home needed a skylight. So they climbed up to the roof, dug an opening in the tiles, and lowered the man down through the ceiling, cot and all. Right. In front. of Jesus. Can you imagine what the others thought? Those Pharisees and scribes? Sitting there importantly, proud that they had a front and center spot to hear and drill this Jesus, and suddenly, dust and dirt and tile pieces hit the crowns of their heads. Then this poor palsied man and his bed slowly dropped, right into their midst! What?!? Christ knows what’s important. We want physical well-being and success. He wants to heal our souls. And the paralyzed man did it—of course!! Then when the crowds saw it, they were filled with awe, and—they glorified God. THAT’s what it was all about! Showing who Christ is. Showing why He came. And glorifying God! None of which would have happened so dramatically if his friends had been able to carry that young man right through the door. Yes, he ended up getting what he hoped for, but in God’s time and for God’s glory. So, what about our circumstances? Things we want? Opportunities that keep blocking our way? Just maybe, God has a plan. A reason. That has nothing to do with entryways and exits. And may even have nothing to do with us. 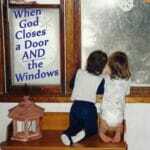 What if we stopped looking around at those windows and doors and started looking up to the God who’s closing them? What if we stopped pushing for our will and our way, and started waiting for the One who is THE Way? What if we took all our empty clichés and all those moments in our lives that paralyze us and dropped them. Right. In front. of Jesus? What then? Who knows what He could do? 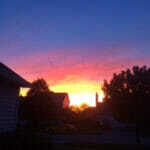 Whatever it is, I bet it would fill us with awe…and cause us to glorify Him. Yes, we have hopes and dreams, often God-given ones. But He promises in Jeremiah 29:11 that He has a plan for us. It just may not be what we think. 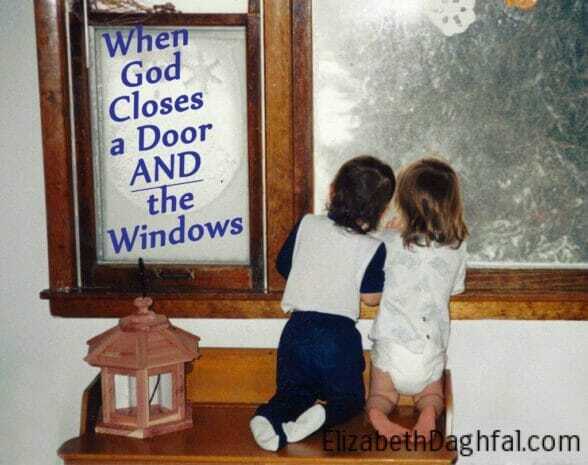 So, When God Closes a Door AND the Windows? –Take heart! It’s time to look UP! Tell me, friend, was there a time when you felt all closed in? I’d love to hear about it in the comments below or on my Facebook page, Lessons In the Little Things. Then, feel free to click on over to this related post that I wrote a few years back–because, thankfully, ….. THE MOVIE ISN’T OVER! He Knows the Plans He has for Us! This entry was posted in not-there-yet and tagged Luke 5:18-25, paralytic man.